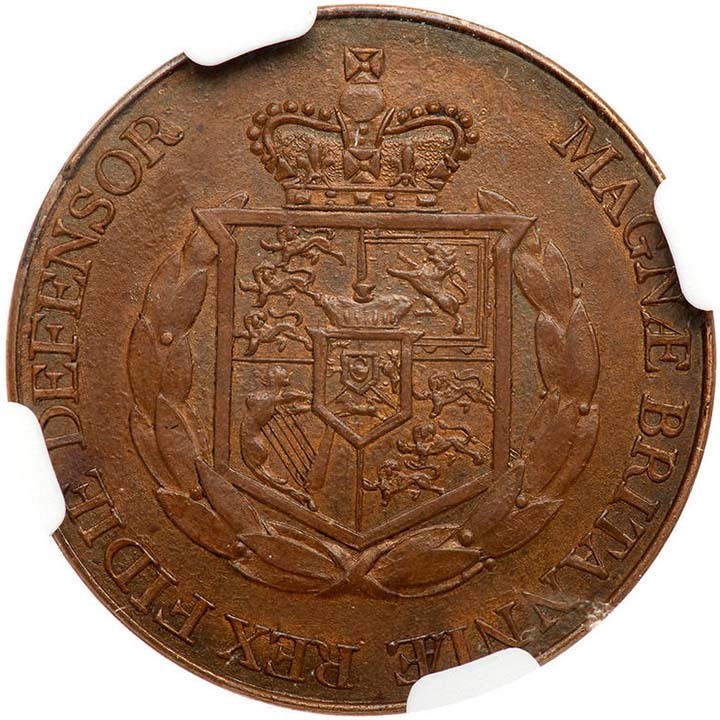 Although this unique pattern Guinea/Sovereign is listed in the Wilson and Rasmussen reference book as W&R-182 Copper, it is not photographed in this reference book because the researchers and authors could not verify the existence of this coin at the time of publication. In addition, there are no known gold strikings of this pattern Guinea/Sovereign. Wilson and Rasmussen note that this design is believed to be a 'Petition' on the engraver's part in an effort to obtain the post of Chief Engraver at the Royal Mint. Mills was never employed at the Royal Mint and failed to realize his full potential, because of his untimely death. Nevertheless he engraved for James Mudie a silver pattern crown of George III and a pattern crown of George IV in collaboration with Whiteaves. Although he died at the age of 32, some of Mills' creations can be seen in the British Museum. A.H. Baldwin & Sons Ltd. auctioned off part of a collection of gold sovereigns in the Bentley Collection which included rare and unique Guinea and Sovereign patterns. This unique Guinea/Sovereign pattern was not even in that collection. 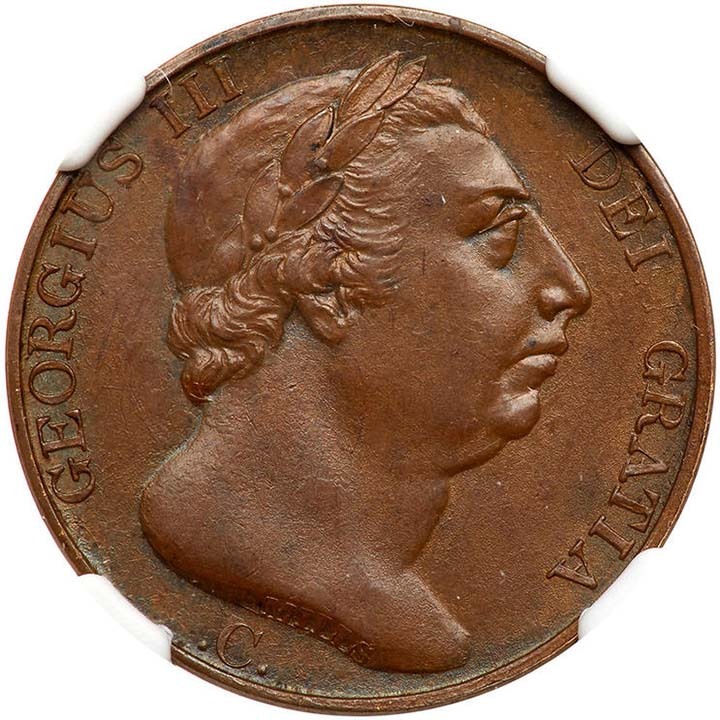 The Royal Mint experimented in transitioning from the Guinea in 1816 to the Sovereign in 1817. There are a few rare issues of pattern and proof coins that were prototypes in 1816 during this change. This intriguing and unique piece is of great historical significance and was just recently discovered. 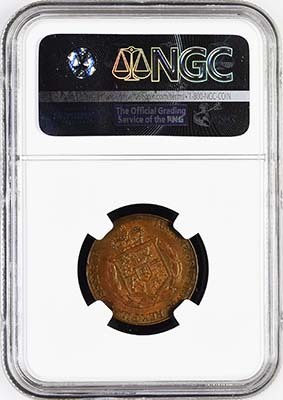 It was authenticated and certified MS62BN by NGC. The new standard Sovereign Weight was defined by an act of Parliament in 1816 and production began in 1817. The Guinea was superseded by the Sovereign. The new Sovereigns had King George III on the obverse and St. George Slaying the Dragon on the reverse. This was in place of the Armorial Bearings which had been the chief feature of English reverse types since the Tutor period. The weight of the Sovereign was based on that of the Guinea which had been coined at the rate of 44.5 to the troy pound, or approximately 125 grains per piece. The weight of the Sovereign was fixed at 123 grains. Wilson and Rasmussen gave this coin a rarity rating of 7, which is designated as 1-2 known. 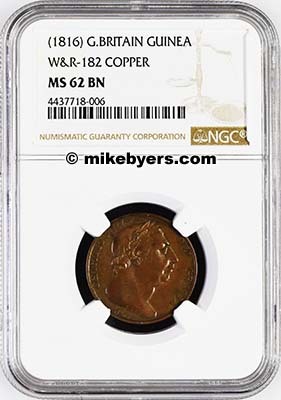 This is one of only three coins that were listed but designated as "unverified" in the W&R reference book, published in 2000. Since it was just recently discovered and certified, it is a unique pattern and a significant part of The Royal Mint's coinage history.